Digital Realty Trust, which owns 121 data center properties comprising approximately 22.7 million square feet, plans to build a Global Network Neutral Ecosystem providing direct connections between its tenants. The idea is to run high count dark fiber between its nearby buildings, enabling "plug and play" GigE as well as straight dark fiber cross-connects to customers, carriers and service providers campus-wide. The rollout will begin with Digital Realty's major campus locations including New York Metro, Boston, Ashburn, Chicago, Dallas, Santa Clara as well as Metro London. Completion of the deployment in the U.S. is expected by the fourth quarter of 2013, followed by Asia Pacific and Europe in the first half of 2014. "The launch of this important strategy takes our global portfolio to the next level in terms of network connectivity, which is a key factor for customers when selecting a data center provider," said Michael F. Foust, chief executive officer of Digital Realty. "When combined with our scale, expertise and global footprint, this initiative will give customers a one-stop shop for all of their data center needs." "The important distinction here is that we are not building a network, nor are we becoming a reseller," added Mr. Foust. "The goal of this initiative is to ensure a robust offering of network and carrier products and services in every Digital Realty location, making our portfolio the easiest place for both wholesale and retail colocation customers to locate their data centers." Alcatel-Lucent reported Q1 2013 revenues of Euro 3,226 million, up 0.6% year-over-year but down -21.2% sequentially. At constant currency exchange rates and perimeter, revenues increased 1.8% year-over-year and decreased -19.9% sequentially. There was a first quarter reported net loss (group share) of Euro (353) million or Euro (0.16) per share, including restructuring charges of Euro (122) million and Euro (152) million of financial loss. "Alcatel-Lucent’s first quarter results reflect both encouraging trends in the marketplace and good progress with The Performance Program, for which discipline on execution remains the priority in 2013. Free cash-flow remains a challenge. Strong focus will be placed on working capital management to reverse some of the negative impact incurred this quarter. We are actively reviewing the Group’s businesses and operating model to design the conditions for value creation in the future. I am looking forward to sharing the outcome in early Summer," stated Michel Combes, CEO Alcatel-Lucent. Networks & Platforms grew 6% year-over-year with high single digit growth in IP and good traction in Wireless, Fixed networks, Platforms and Services, all partially offset by a double-digit decline in Optics. Revenues for the IP division were Euro 493 million, increasing 6.3% from the year ago quarter and 9.3% at constant currency. Revenues for the Optics division were Euro 342 million, a decrease of 15.6% from the year-ago quarter. Revenues for the Wireless division were Euro 966 million, an increase of 4.9% from the year-ago quarter. The growth in LTE and RFS, which includes cable, antenna and tower systems, was partially offset by an overall decline in 2G/3G technologies. Focused Businesses declined at a double-digit rate compared to the year ago quarter, with Enterprise at a mid-single digit rate and Submarine at a faster pace. A slowdown in Managed Services continued, reflecting restructuring efforts. From a geographic standpoint, also adjusted for constant currency and compared to the year ago period, North America reached historical highs as a percentage of total revenues (48%), resulting from strong growth in the region. Japan showed good traction and China stabilized. The Asia Pacific region declined at a low single digit rate. Cautious spending persisted in Europe, which declined at a 10% rate. Rest of world declined at 10%, where growth in Brazil was offset by weakness in the rest of Central and Latin America and Middle East and Africa. Extreme Networks appointed Charles W. "Chuck" Berger as its President and CEO, replacing Oscar Rodriguez who has resigned, effective immediately. Berger has also been elected to the Board of Directors, effective immediately. Rodriguez also resigned from the Board. Berger most recently served as CEO and Chairman of ParAccel, a privately held software analytics company that was recently sold to Actian. Prior to ParAccel, Berger served as the CEO of DVDPlay, Nuance Communications, Vicinity Corporation, AdForce, and Radius. "We appreciate Oscar's contributions over his past three years of service to Extreme Networks and in particular his technical and sales efforts," said Ed Meyercord, Chairman of the Extreme Networks Board of Directors. "Oscar helped build a talented team and a foundation for future growth. We thank him and wish him the best in his future endeavors." In August 2010, Extreme Networks appointed Oscar Rodriguez as its President and CEO. Netia, Poland’s largest alternative provider of fixed-line telecommunications services, has deployed Nokia Siemens Networks’ optical transport DWDM platform hiT 7300 and 100 GbE (Gigabit Ethernet) transponder, to enable 100G wavelengths in its optical fiber network. The solution was integrated seamlessly into Netia's existing fiber optical infrastructure provided by a third party vendor. Nokia Siemens Networks also noted that the sale of its Optical Networks business to Marlin Equity Partners is expected to close in the first half of 2013. NETGEAR reported Q1 net sales of $293.4 million, as compared to $325.6 million for the first quarter ended April 1, 2012, and $310.4 million in the fourth quarter ended December 31, 2012. Net income (GAAP) was $15.3 million, or $0.39 per diluted share. This compares to GAAP net income of $25.1 million, or $0.65 per diluted share, for the first quarter of 2012, and GAAP net income of $16.1 million, or $0.41 per diluted share, in the fourth quarter of 2012. Gross margin on a non-GAAP basis in the first quarter of 2013 was 30.5%, as compared to 31.0% in the year ago comparable quarter, and 30.0% in the fourth quarter of 2012. Patrick Lo, Chairman and Chief Executive Officer of NETGEAR commented, "The lower than expected operating margin in the first quarter was driven by product mix, primarily due to difficulties in the transition to our new ReadyNAS line of products. The transition occurred late in the quarter and difficulty securing components and some last minute bug fixes led to unanticipated delays. This marked the first time we completely replaced an entire line of products, which involved obsoleting ten models and replacing them with seven brand new models. The execution was much harder than anticipated and we learned a valuable lesson in engineering and manufacturing planning. The good news is that our supply is now in full swing and customer feedback on the new product line has been very positive." "We continue to see large market opportunities created by the ever expanding access to high speed Internet connectivity among consumers and businesses. We are very focused today on building our product portfolios for intermediate and long term growth in all three of our business units. In retail, we continue to gain traction with the 11ac upgrade cycle and we are gaining share in the Smart Home space, specifically with our Internet video streaming solutions. In our Commercial Business Unit, the launches of the new ReadyNAS and 10GBaseT switches in the first quarter were received enthusiastically by the market, positioning us for growth in the months and years ahead. And in our Service Provider Business Unit, we introduced our first LTE gateway into the North American fixed mobile data market and have attracted interest from multiple service providers." PMC-Sierra reported Q1 revenue of $125.2 million, a decrease of three percent compared to $129.4 million in the fourth quarter of 2012, and a decrease of five percent compared to $132.1 million in the first quarter of 2012. GAAP net loss was $6.8 million, or $0.03 per share, compared to GAAP net income in the fourth quarter of 2012 of $10.8 million, or $0.05 per diluted share. "Our first quarter results were in line with our outlook and within the expected range," said Greg Lang, PMC President and Chief Executive Officer. “We are encouraged by stronger bookings in the quarter and expect to grow revenues in the second quarter of 2013. Our book-to-bill ratio within the period was greater than one for the second consecutive quarter." 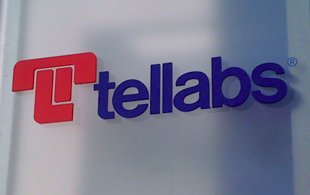 Tellabs reported Q1 2013 revenue of $209 million, compared with $258 million in the year-ago quarter. There was a GAAP net loss of $56 million or 16 cents per share in the first quarter of 2013, compared with a net loss of $140 million or 38 cents per share in the first quarter of 2012. Tellabs holds cash and marketable securities of $572 million as of March 29, 2013, thanks in part to the repatriation of approximately $375 million of cash held by non- U.S. subsidiaries during the first quarter of 2013. During Q1, Tellabs repurchased 12 million shares for $26 million under its previously announced stock repurchase plan. For Q1, Optical segment revenue was $93 million, Data segment revenue was $33 million, Access segment revenue was $39 million and Services segment revenue was $44 million. "We’re working to revitalize Tellabs’ performance with a focus on customers, strategy and results," said Dan Kelly, Tellabs CEO and president. "Going forward, we’re working on what customers need to succeed with our optical and mobile solutions." Radisys reported Q1 revenues of $68.2 million and a GAAP net loss of $6.6 million or $0.23 per share. ATCA and software solutions revenue amounted to $46.5 million, or 68% of total revenue. Radisys noted its first revenue generating shipments of its new Media Resource Function (MRF), the MPX-12000, which will provide Rich Communication Services (RCS) capabilities in a network being rolled out by a tier one carrier in Asia. The company also noted that platform design wins in Q1 are expected to result in approximately $60 million of revenue over the next five years. "I am pleased that along with successfully meeting a number of key product development and operational objectives set seven months ago, our first quarter revenue and profitability met our guidance. During the first quarter, we released essential features that enabled the recognition of our first MPX-12000 (MRF) revenue. The funnel for our new MRF is strong and we are in multiple trials with carriers in Voice over LTE applications as well as enabling RCS in the IP Multimedia Subsystem (IMS) core. We also are seeing nice traction in our solutions business which takes our breadth of technology to develop products for our customers such as load balancing, edge routing, intelligent gateways and compact packet cores," stated Brian Bronson, Radisys' President and CEO. Mellanox Technologies reported Q1 revenue of $83.1 million, down 32.0 percent from $122.1 million for the fourth quarter 2012, and down 6.4 percent from $88.7 million for the first quarter of 2012. GAAP net loss in the first quarter of 2013 was $8.5 million or $0.20 per diluted share, compared with net income of $18.4 million or $0.41 per diluted share in the fourth quarter of 2012 and net income of $12.4 million or $0.29 per diluted share in the first quarter of 2012.